Tom Stoppard is a thinking person’s playwright. From “Rosencrantz and Guilderstern Are Dead” onward he has combined laughs with mind-bending approaches and discussions on time, politics and science. The man is a genius. 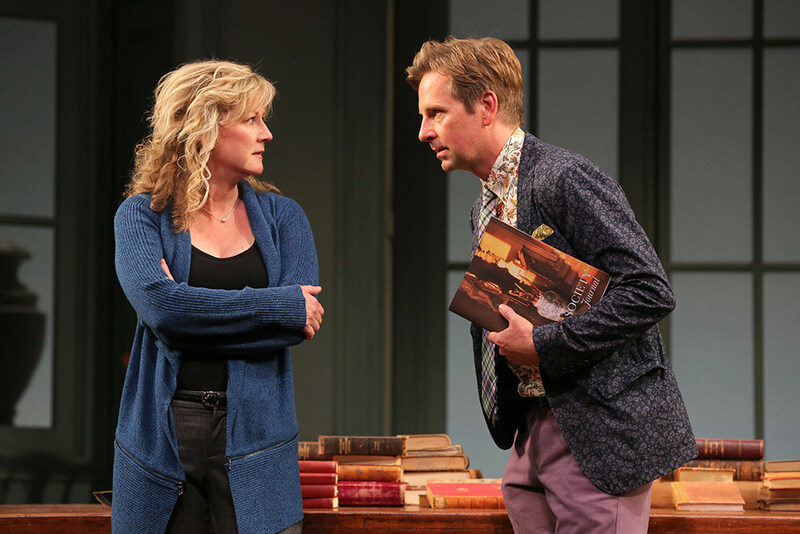 Arcadia, which is getting an outstanding production at the Yale Rep directed by James Bundy through Oct. 25, is just such a piece. It will keep you fascinated throughout its two hours and 40 minutes. In the next scene we are in the 1990s or so, where the Coverly family still lives at Sidley. Hannah Jarvis, a scholar of the period who has recently written a popular book about Caroline Lamb, is visiting the manor to research material for her next book. She believes she has found the cornerstone of the book. References to a mad, hermit who lives on the estate in the”hermitage” in the reconstructed “wild” gardens. Another scholar, Bernard Nightingale arrives — he too has a theory. He has discovered what he believes is a connection between the home, Lord Byron and an obscure poet who visited the home. It will make him famous. As the play progresses both of these plots are developed. We see in the 1815 Thomasina mature and continue to be fascinated with math, her tutor who continues his romantic exploits, and we learn about Lord Byron. In modern times, we see the tendency of scholars to jump to conclusions, interpret clues to suit their purposes and for Nightingale, at least, to seek television fame. But we also learn that Thomasina was far ahead of her time mathematically and that she understood principles about the relationship of math and nature that were really not understood until much later. Stoppard brilliantly merges the two time periods at the end in a way that is very touching. This is a play filled with humor and ideas. Yes, there is a lot of talk but much of it is fascinating. You do care about the characters. Some may find their eyes glazing over during some of the more mathematical discussions. Most of the women in the audience will find Nightingale obnoxious for his condescension to Hannah. Artistic Director James Bundy has done a terrific job both mining the humor and keeping the pace moving. It never sounds like a lecture or debate but a dramatic mystery that we are unraveling. Almost everything about this production is just what is needed. The cast is terrific. Rebekah Brockman as Thomasina projects both the innocence and precociousness of Thomasina. Tom Pecinka is extremely handsome as Septimus and very charming but you also realize that underneath it all, he is a bit of a conniver. In the modern times, Stephen Barker Turner is appropriately full of himself and bombastic as Bernard Nightingale and René Augesen as Hannah projects subtle annoyance and then glee as Nightingale gets his come-uppance. The other performers match these in carefully drawn and fully realized characters. The set by Adrian Martinez Frausto is deceptively simple but serves the needs of the play perfectly as do the costumes by Grier Coleman. 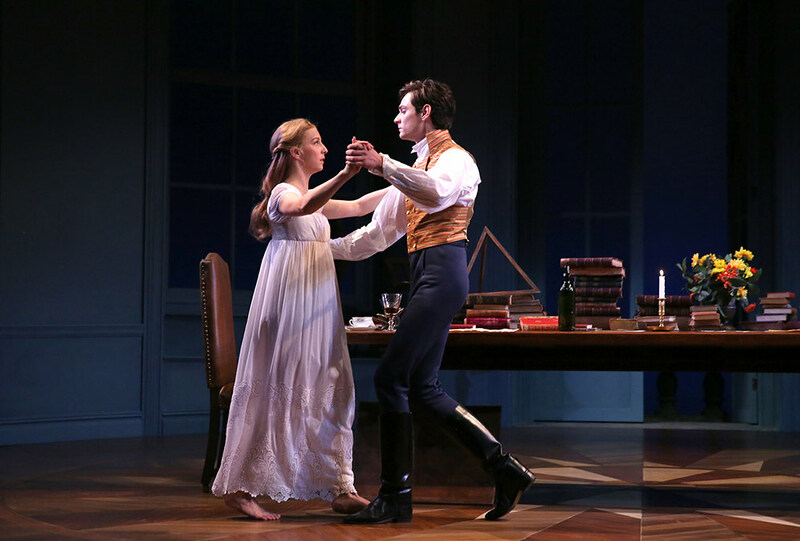 The lighting design by Caitlin Smith Rapoport modulates the scenes. 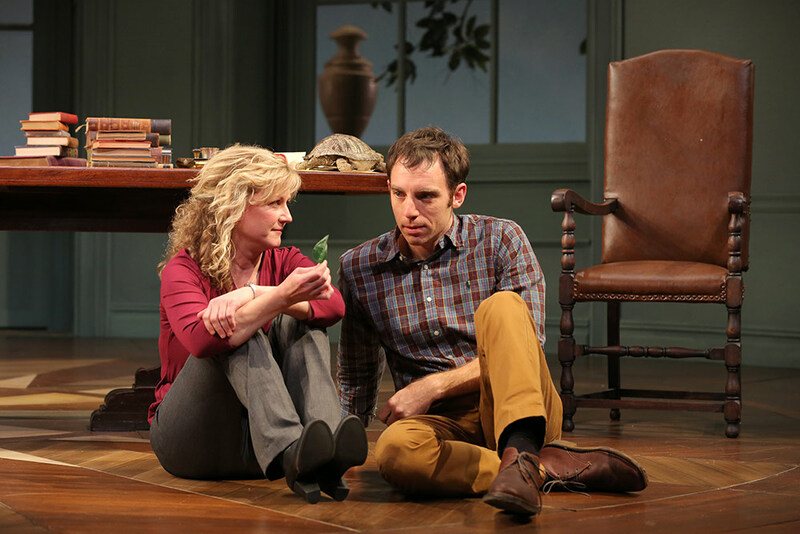 A special note of praise should be given to both sound designer Tyler Kieffer and composer Matthew Suttor who composed a score that accentuates both the periods and the moods of the play. 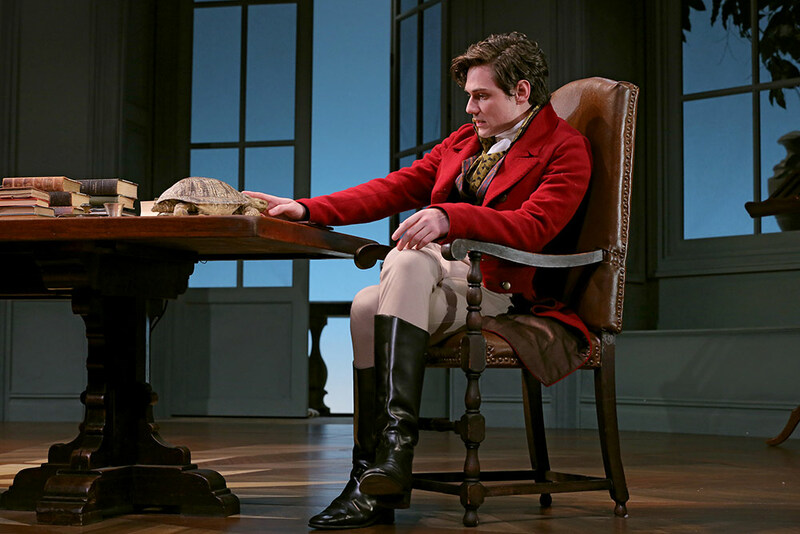 Arcadia is starting off the Yale Rep season on a very high note. You should not miss it. For tickets visit http://www.yalerep.org or call 203-432-1234. It is at the University Theater on York Street in New Haven.